Eric Pinder Is Busy COUNTING DINOS! 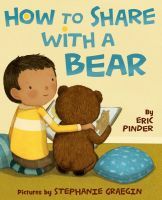 It's another Happy Picture Book Day, this time for Eric Pinder. He's charmed you—and your storytime charges—with such hits as IF ALL THE ANIMALS CAME INSIDE, HOW TO SHARE WITH A BEAR, and HOW TO BUILD A SNOW BEAR. And don't forget the forthcoming THE PERFECT PILLOW, which is due out this Fall! IF ALL THE ANIMALS CAME INSIDE and HOW TO SHARE WITH A BEAR author Eric Pinder's COUNTING DINOS, a zany counting adventure featuring a rowdy dinosaur gang, with Junissa Bianda signed on to illustrate, to Jonathan Westmark at Albert Whitman, by Ammi-Joan Paquette at Erin Murphy Literary Agency for the author and Emily Coggins at Astound for the illustrator (World). This baby is earmarked for publication in fall 2018, so mark those calendars and start counting the dino-days! Two wonderful new EMLA releases! 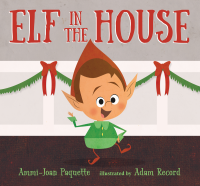 We're celebrating the release of two wonderful books today - Ammi-Joan Paquette's ELF IN THE HOUSE and L.B. Schulman's STOLEN SECRETS! Huge congratulations to you both! And Now for Something Completely Different – from Tyler Whitesides! For the past few years, Tyler Whitesides has been rocking stages with his middle-grade series JANITORS, and his forthcoming middle-grade fantasy adventure THE WISHMAKERS, is forthcoming from Harper Collins early next year. Tyler Whitesides's debut adult fantasy, THE THOUSAND DEATHS OF ARDOR BENN, the first in a series set in a world powered by dragon-fueled magic, a young Ruse Artist undertakes the biggest con of his life, where he will take on king and country in hopes of unleashing a forbidden magic, which could be the one thing to save his world – or doom it forever, by Ammi-Joan Paquette at Erin Murphy Literary Agency, in a three-book deal, to Lindsey Hall at Orbit (World). Buckle your seatbelts for a wild ride, folks—because this series is amazing! The first book is coming your way in spring 2018. 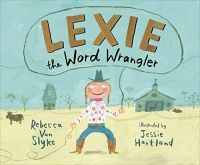 Rebecca Van Slyke’s new deal for LANA LYNN! The text was enthusiastically acquired by Kathy Landwehr at Peachtree, who has brought on the talented Anca Sandu to illustrate. Three cheers for Rebecca, Anca, and LANA!!! 5 Wonderful New EMLA Releases! We're celebrating a ton of new releases this week! 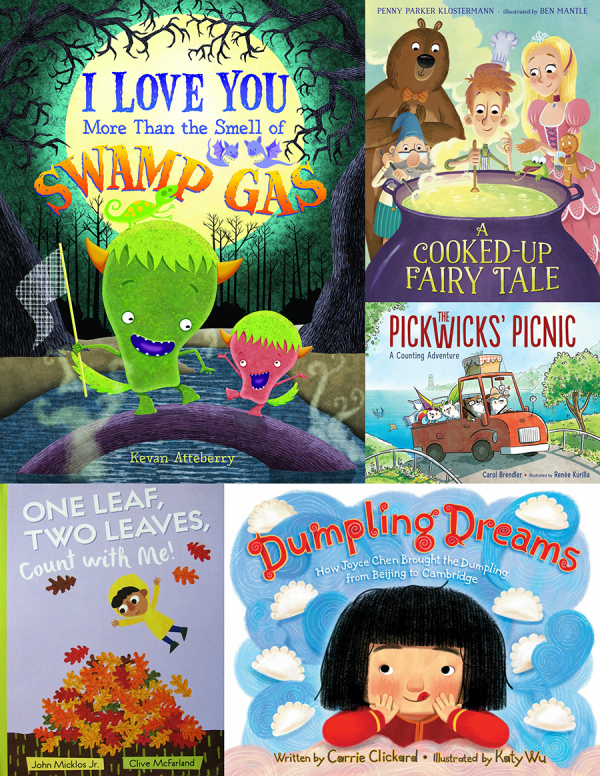 Please join us in welcoming I LOVE YOU MORE THAN THE SMELL OF SWAMP GAS by Kevan Atteberry, A COOKED-UP FAIRY TALE by Penny Parker Klostermann, ONE LEAF, TWO LEAVES, COUNT WITH ME by John Micklos Jr., DUMPLING DREAMS by Carrie Clickard, and THE PICKWICKS' PICNIC by Carol Brendler into the world! Congratulations to you all - we're so happy for you! FAULT LINES is out today! 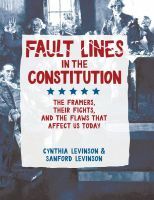 Cynthia Levinson and Sanford Levinson's FAULT LINES IN THE CONSTITUTION is out today! We're so happy this fascinating and informative book is out in the world. FAULT LINES IN THE CONSTITUTION also received its fourth starred review, this one from PW! Congratulations to you both! "This thought-provoking and exceptionally topical work concludes with a debate between the Levinsons over the best way to accomplish much-needed changes to America's most basic governing document." It's fall and the weather is already starting to cool down here in publishing-land. What better time to pick up a new book? Which us nicely into our deal announcement time for the talented Laurie Boyle Crompton, who is blasting out of the park with her new contemporary YA novel, PRETTY IN PUNXATAWNEY. As you might guess, this book delivers richly on its title: a hilarious mash-up inspired by the movies "Pretty in Pink" and "Groundhog Day." I know, right? HOOKED ALREADY! The book was acquired by Jillian Manning at Blink, and is slated for publication in summer 2018. So, you'll have to wait a little while before picking up this particular book. But in the meanwhile, may I recommend Laurie's latest title? LOVE AND VANDALISM is just the thing to curl up with while you wait.